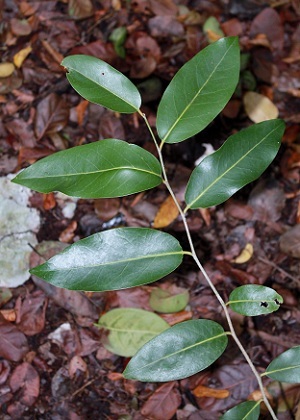 General Landscape Uses: Specimen or accent tree in the Florida Keys. Ecological Restoration Notes: An occasional element of rockland hammocks. Availability: Grown by one or two native plant nurseries in South Florida. 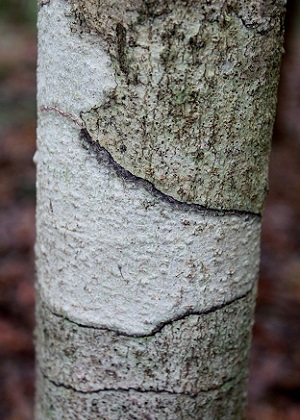 Description: Medium tree with and erect trunk. 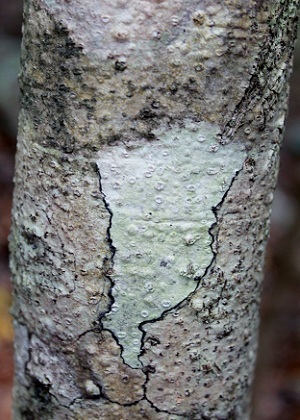 Bark smooth, white, usually covered with patches of gray, brown or yellow patches. Leaves stiff, dark green above, 3-5 inches long. Dimensions: Typically 20-30 feet in height; to 46 feet in South Florida. Taller than broad. Range: Monroe County Keys and Miami-Dade County; Bahamas. In Miami-Dade County, not known from the mainland; known only from the Florida Keys in and around Elliott Key in Biscayne National Park. For a digitized image of Elbert Little's Florida range map, visit the Exploring Florida website. Flower Characteristics: Inconspicuous. Dioecious, with male and female flowers on separate plants. 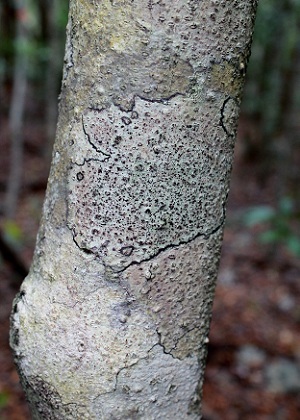 Wildlife and Ecology: Larval host plant for Florida white (Appias drusilla) butterflies. Comments: The seedling leaves resemble those of holly (Ilex). It is listed as endangered by the state of Florida.